Show off your anemones, your corals, and your beach bod with this Trina Turk Finding Dory Swimsuit with the plunging neckline! Folks love Trina Turk’s laid-back California Casual style and her bold prints. 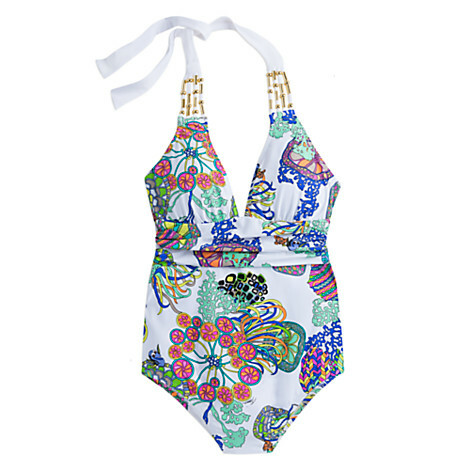 This bathing suit offers the perfect combo of sun and fun with an SPF 50 to boot! That’s a very fun collection.